The wife of former federal and state lawmaker Marlin Stutzman said on social media that she might seek a seat in the Indiana House. Christy Stutzman wrote Wednesday on her Facebook page that she "would like to ask for your prayers and support as I consider running" for the Republican nomination in House District 49, which is in eastern Elkhart County. Rep. Wes Culver, R-Goshen, recently announced he will not seek re-election next year to the seat he was first elected to in 2008. 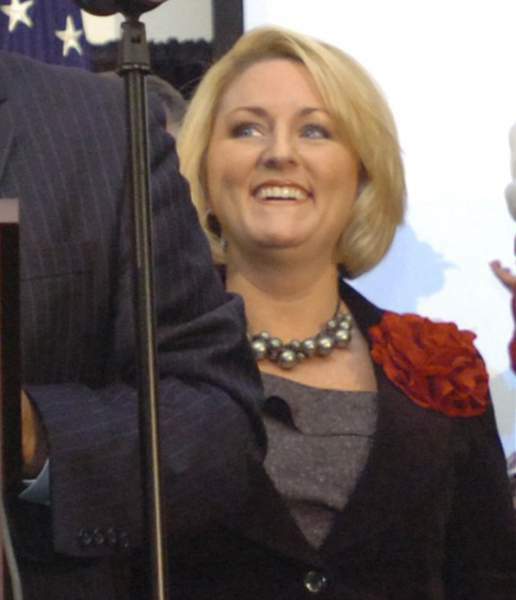 Christy Stutzman wrote that Culver "leaves big shoes to fill." Marlin Stutzman wrote Wednesday on his Facebook page that his wife "would be a strong conservative voice for Hoosiers at the Statehouse!" House District 49 is west of the district that Marlin Stutzman represented as a LaGrange County resident in the 2000s before he was elected to the Indiana Senate in 2008. He won election to the U.S. House in 2010 in northeast Indiana's 3rd District and left Capitol Hill this year after failing in 2016 to win the Republican nomination for a U.S. Senate seat. The Stutzmans live in Middlebury and have turned their LaGrange County home into an Airbnb rental property.